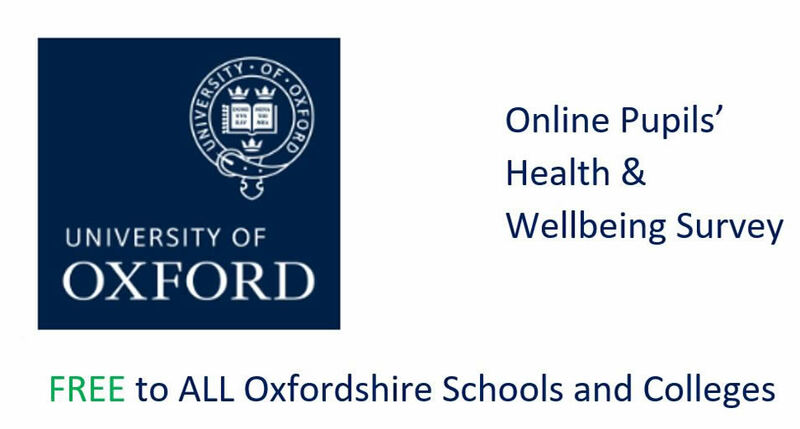 We have an exciting opportunity to run a valuable and well-established questionnaire in schools on well-being as part of a University of Oxford collaborative project (iSAM). The Oxfordshire Online Pupil Survey (OPS) for pupils in years 4/5/6, 8/10 and 12 including colleges will be running across the county in March & April 2019. This free survey provides invaluable data for schools to gain insights into pupil voice, set priorities for improving the health and wellbeing of their pupils, and monitor impact. The OPS has been running every two years in Gloucestershire since 2006 and more recently the survey also runs in South Gloucester and Wiltshire. The survey is engaging and easy for pupils to use and asks a series of questions across a range of health and wellbeing related issues. Primary, Secondary, Special and the Year 12/FE survey differ slightly and have age appropriate questions. The survey takes most pupils between 30 - 45 minutes to complete and can be comfortably fitted into a lesson. The school/college will receive its own data, and can generate different reports. The data can provide the school with invaluable information for Ofsted evidence. There will also be Oxfordshire wide data that will used to inform the strategic planning across partnerships. Examples of survey results can be accessed here and there are case stories from South Gloucestershire on how schools have used data to demonstrate impact of interventions on pupils’ health and wellbeing behaviours. To take part in the survey, please sign up here or email us providing your name, position, school, email and phone number.